IRL (Birds LLC, 2016) is a sweaty, summertime poem composed like a long text message, rooted in the epic tradition of A.R. Ammons, ancient Kumeyaay Bird Songs, and Beyoncé’s visual albums. It follows Teebs, a reservation-born, queer NDN weirdo, trying to figure out his impulses/desires/history in the midst of Brooklyn rooftops, privacy in the age of the Internet, street harassment, suicide, boys boys boys, literature, colonialism, religion, leaving one's 20s, and a love/hate relationship with English. He’s plagued by an indecision, unsure of which obsessions, attractions, and impulses are essentially his, and which are the result of Christian conversion, hetero-patriarchal/colonialist white supremacy, homophobia, Bacardi, gummy candy, and not getting laid. IRL asks, what happens to a modern, queer indigenous person a few generations after his ancestors were alienated from their language, their religion, and their history? Teebs feels compelled towards “boys, burgers,booze,” though he begins to suspect there is perhaps a more ancient goddess calling to him behind art, behind music, behind poetry." Nature Poem (Tin House Books, 2017) follows Teebs―a young, queer, American Indian (or NDN) poet―who can’t bring himself to write a nature poem. For the reservation-born, urban-dwelling hipster, the exercise feels stereotypical, reductive, and boring. He hates nature. He prefers city lights to the night sky. He’d slap a tree across the face. He’d rather write a mountain of hashtag punchlines about death and give head in a pizza-parlor bathroom; he’d rather write odes to Aretha Franklin and Hole. While he’s adamant―bratty, even―about his distaste for the word “natural,” over the course of the book we see him confronting the assimilationist, historical, colonial-white ideas that collude NDN people with nature. The closer his people were identified with the “natural world,” he figures, the easier it was to mow them down like the underbrush. But Teebs gradually learns how to interpret constellations through his own lens, along with human nature, sexuality, language, music, and Twitter. Even while he reckons with manifest destiny and genocide and centuries of disenfranchisement, he learns how to have faith in his own voice. Junk (Tin House Books, 2018) is a breakup poem in couplets: ice floe and hot lava, a tribute to Janet Jackson and nacho cheese. In the static that follows the loss of a job or an apartment or a boyfriend, what can you grab onto for orientation? The narrator wonders what happens to the sense of self when the illusion of security has been stripped away. And for an indigenous person, how do these lost markers of identity echo larger cultural losses and erasures in a changing political landscape? In part taking its cue from A.R. Ammons’s Garbage, Teebs names this liminal space “Junk,” in the sense that a junk shop is full of old things waiting for their next use; different items that collectively become indistinct. But can there be a comfort outside the anxiety of utility? An appreciation of “being” for the sake of being? And will there be Chili Cheese Fritos? 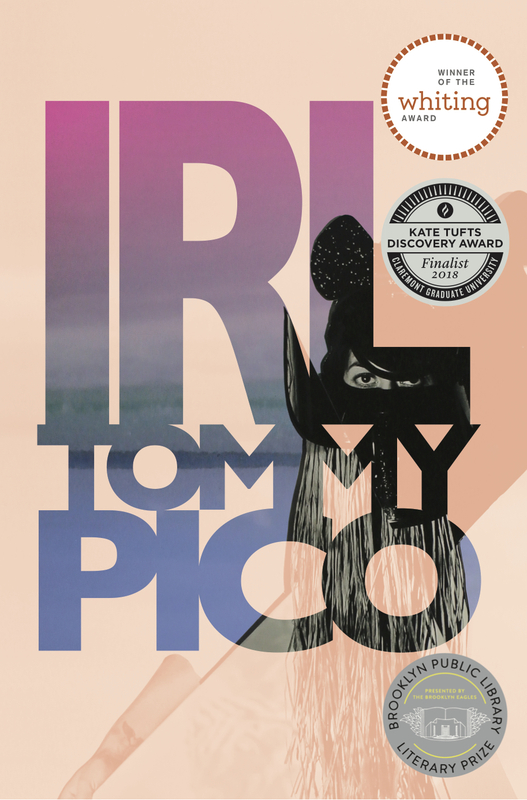 Indigenous American poet, editor, and general vocal cheese fry Tommy Pico interviews a treasure trove of cultural luminaries about relics, keepsakes, and rando baubles in their apartments, sussing out the stories of their Junk. Each episode ends with a short reading from his latest poetry collection (also called Junk nbd lol smiley face). Produced by Alexandra DiPalma with production assistance from Kenya Anderson, and brought to you by Tin House Books. Feed (forthcoming from Tin House Books 2019) is the fourth book in the Teebs tetralogy, partly an epistolary recipe for the main character, a juke box of nourishments, and a jaunty walk through the High Line park in New York, with the lines and the stanzas and the paragraphs and the dialogue and the registers approximating the park's cultivated gardens of wildness. Amongst its questions, Feed asks what's the difference between being alone and being lonely? Can you ever really be friends with an ex? What's the perfect Mac & Cheese recipe? Feed is an ode of reconciliation to the wild inconsistencies of a northeast spring, a frustrating season of back-and-forth, of thaw and blizzard, but with a faith that among the mess it knows where it's going. Listen to FEED: A Garden Soundscape, commissioned by Friends of the High Line in New York City, and iLone, commissioned by Gramma Press and Vignettes Gallery in Seattle. These two sound installations became the rough structure of the book.